The tour begins with the history of Coffea arabica in its local economic, environmental and social context and the importance of coffee in the area's development. 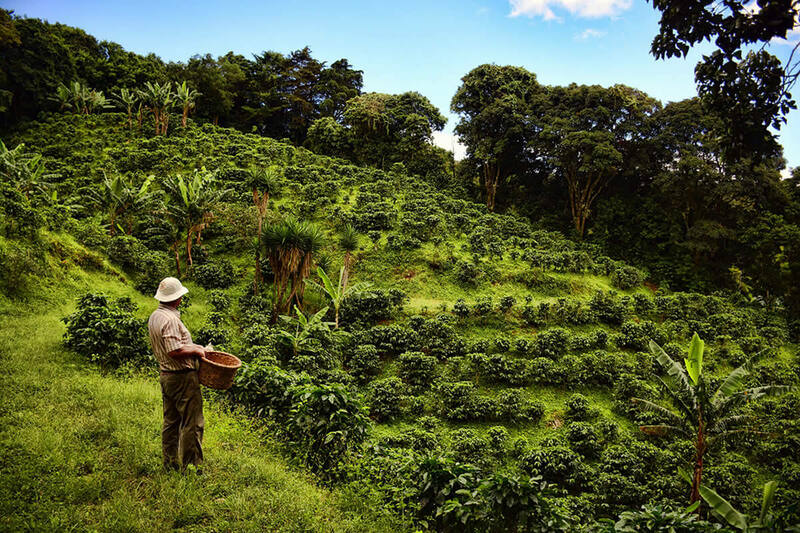 Before delving deep into the world of coffee, we explore how a coffee farm can practice sustainability and preserve its cultural legacy by combining coffee farming and food production. The animals on our farm also help provide organic fertilizer for the coffee field and are a source of energy. You can pet and feed goats, operate a human-powered grass cutter, cuddle a baby pig, and try fresh herbs from our garden! As part of the tour, you also walk through primary and secondary forest, where we often spot sloths, hear a loud bellbird or identify many endemic plant and tree species, even native relatives of the coffee family, Rubiaceae. The rest of the tour is dedicated to learning about the coffee process, including seed germination, care of the plant, harvesting, processing, and roasting. 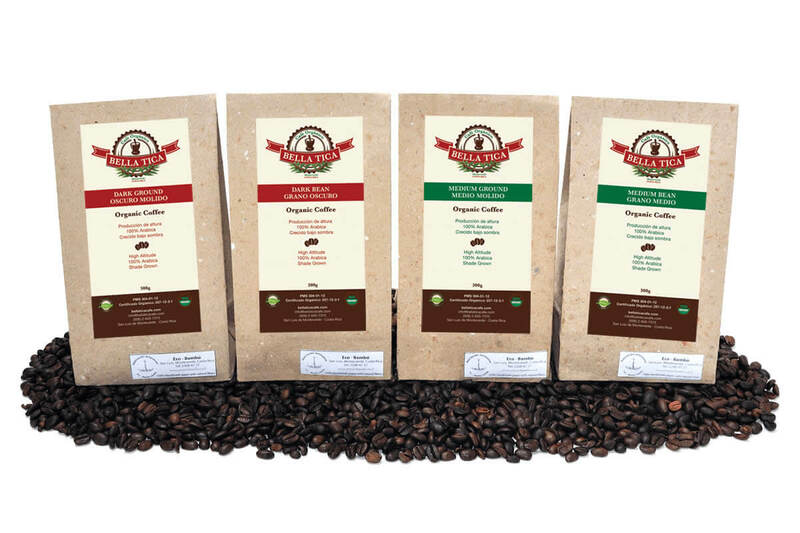 We germinate our own seeds, carefully selected from over five varieties of Coffea arabica. Before a plant is able to produce coffee cherries, it must go through a preparation of up to 2.5 years. 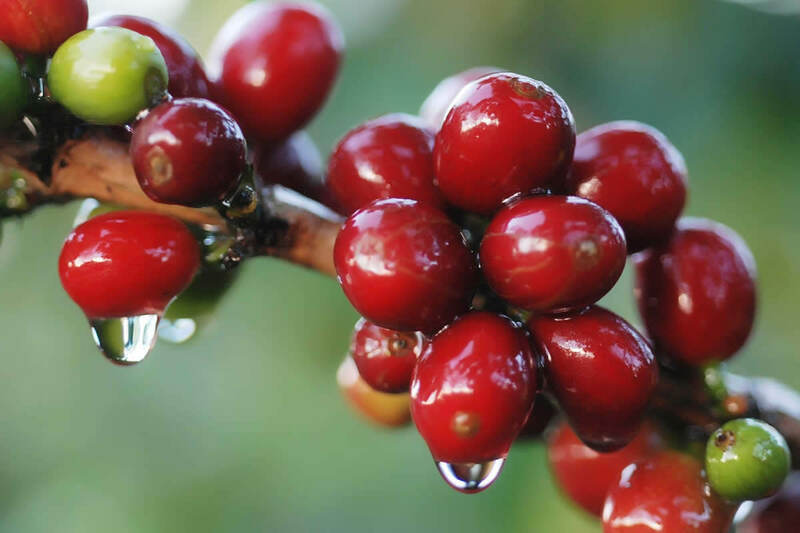 If a coffee plant is provided proper care, it can produce cherries for over 30 years! 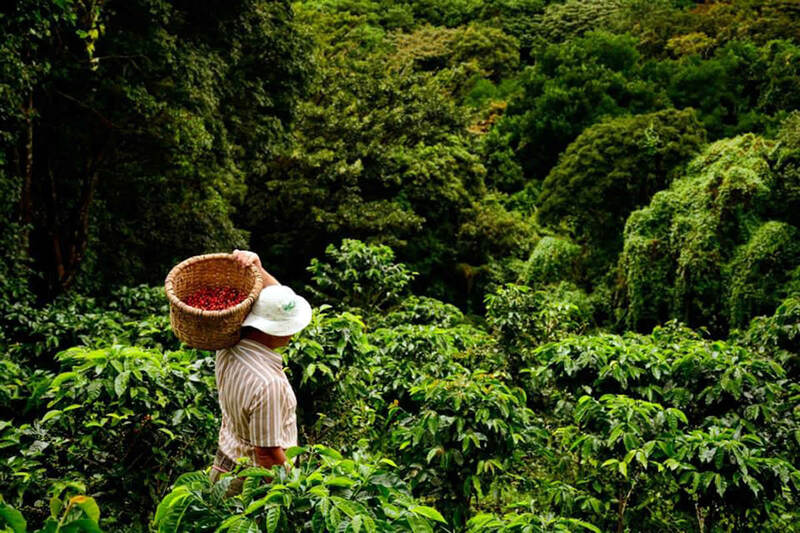 During harvest season visitors can harvest ripe cherries alongside workers who have years of experience manually picking high quality coffee cherries. 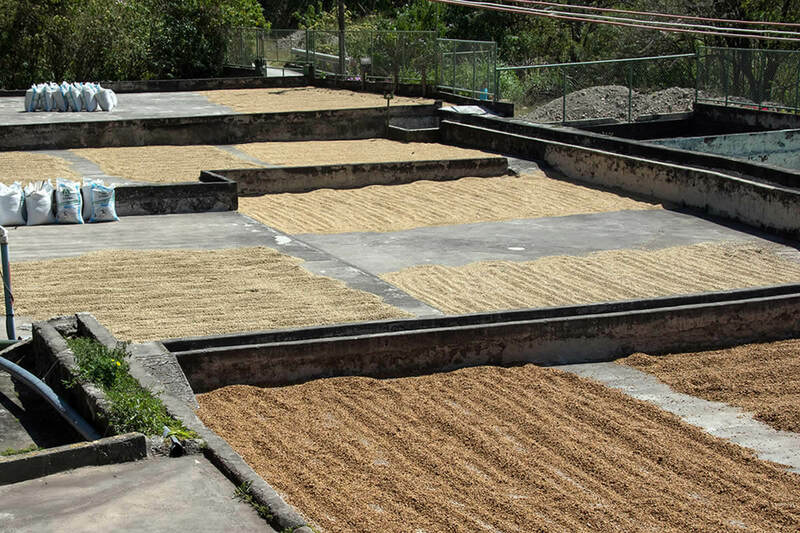 We manually depulp coffee, wash it and lay it out to dry in the sun. However, Café de Monteverde has three different post-harvesting beneficio processes: natural process, honey process and fully washed process. This stage of natural fermentation adds different fruity, acid, and sweet notes the final cup. Once the fruit reaches the green bean stage, it is further sorted for quality and ready to store, ship or roast. 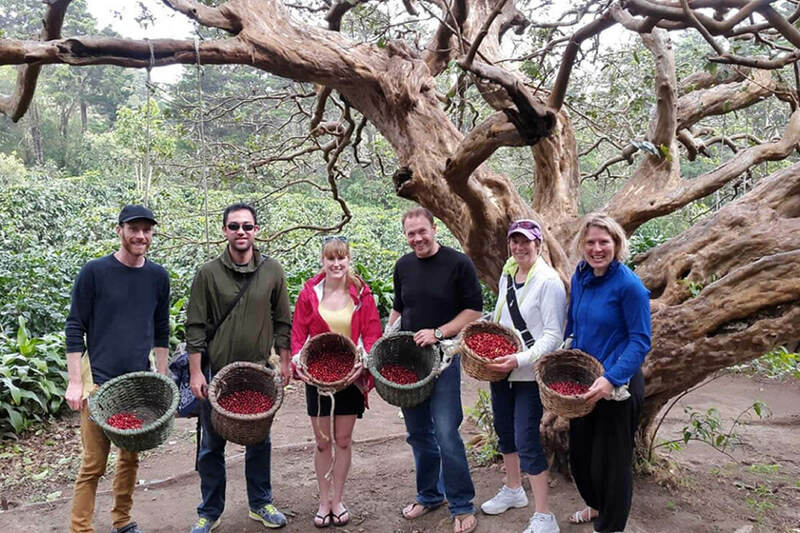 The tour ends at the Monteverde Coffee Lab, our roasting and cupping facility, where you will taste five different coffee processes and roasts, allowing you to savor the nuances of each type. Although environmental and processing elements influence coffee flavor and aroma, roasting can enhance particular qualities. 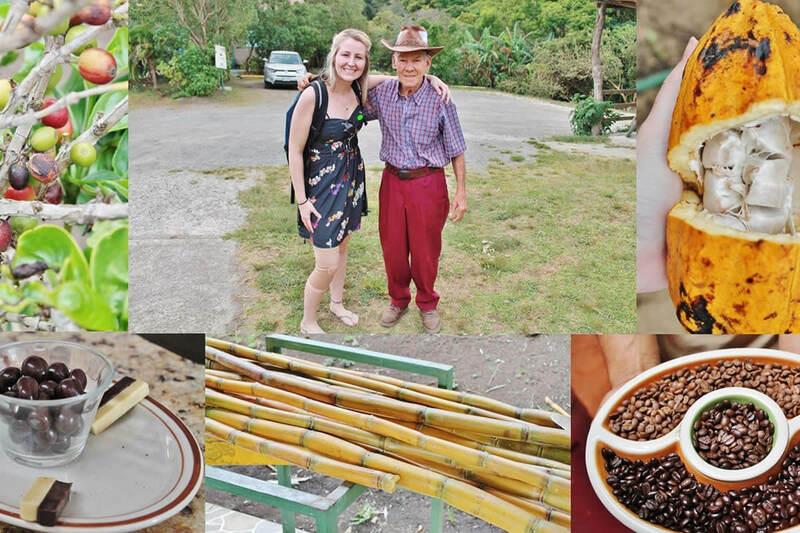 Throughout the tour, visitors learn how sustainability practices are incorporated into coffee farming. This includes mechanical weed management, preventative and biological pest control, minimizing use of synthetic fertilization, measuring and reducing greenhouse gas emissions, preventing erosion, conserving and treating water, maximizing use of renewable energy, proper waste management of byproducts of the coffee process, and educating future generations on sustainable agriculture.